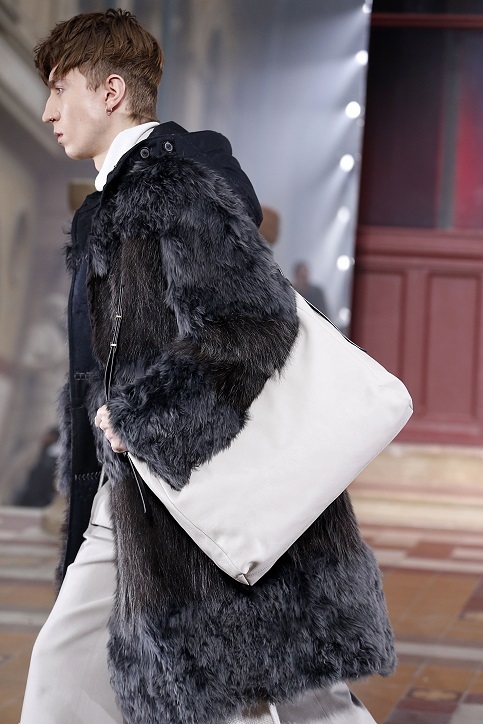 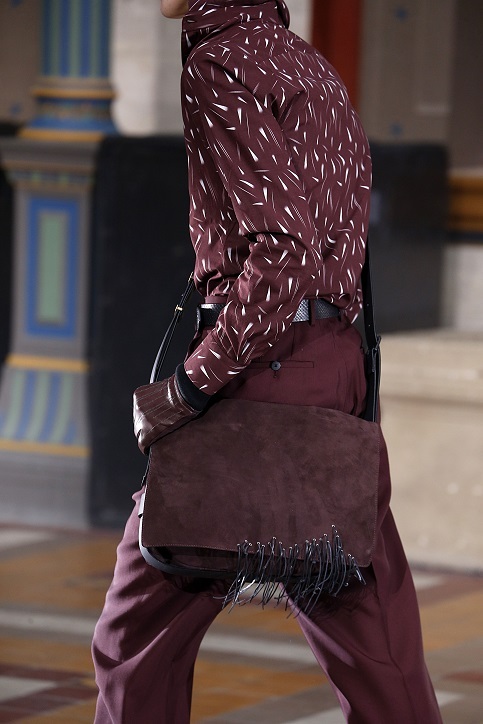 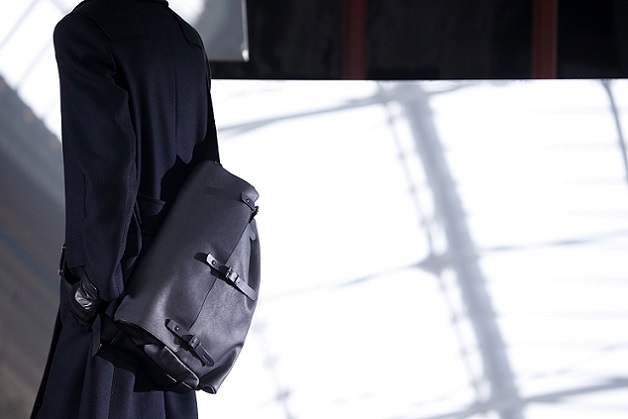 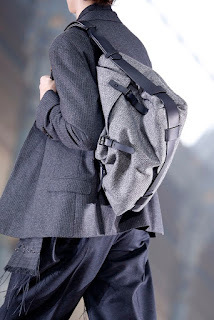 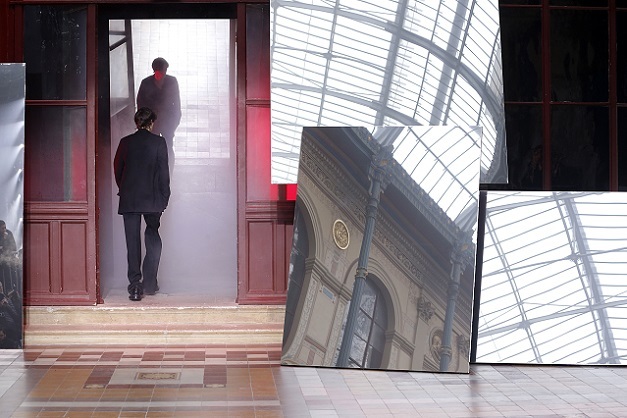 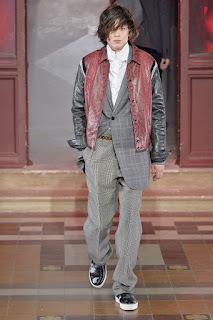 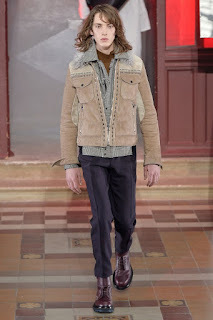 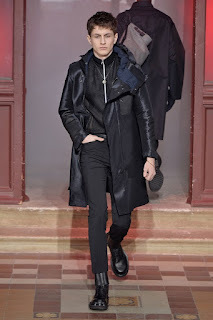 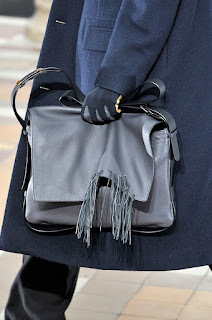 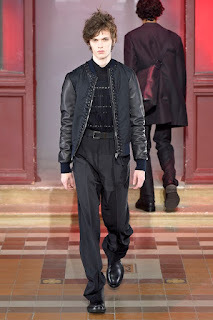 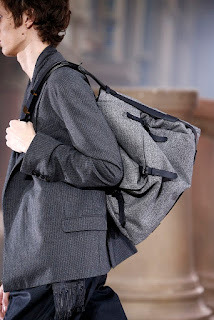 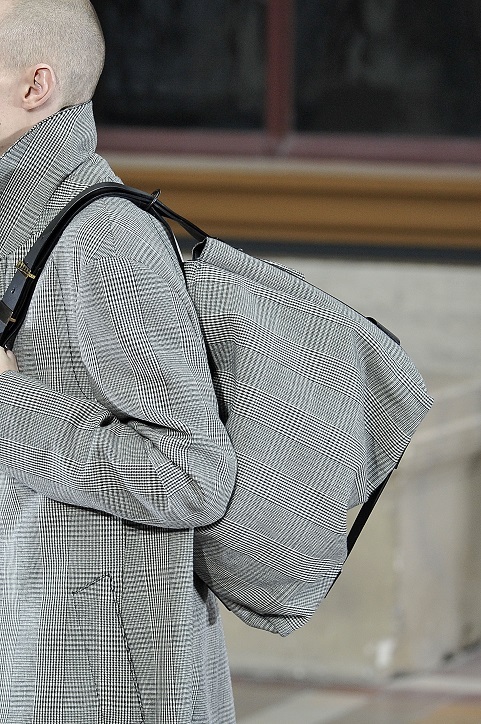 LANVIN FW2015 Men of Choices Homme Collection created by Lucas Ossendrijver and Alber Elbaz. This uniform wardrobe is a showcase of wool - tweed, herringbone, Prince of Wales - a classic vocabulary reworked with modern, straight and simple cuts. The fabric is flat, fine and light, in harmony with the personality of the wearer. 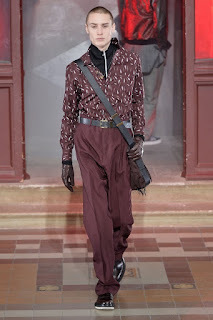 Wide trousers are worn high-waisted with rangers or trainers. 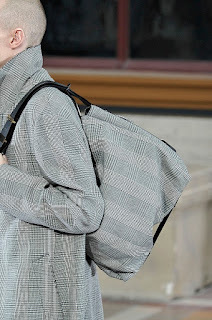 Individuality shines through with the layering of shirts, worn under sweaters and suit jackets which sit comfortably under leather or python bomber jackets. This is an expression of the designers' desire to offer options for all men. Abstract prints recall exotic flowers in a range of winter tones: navy blue, burgundy, grey and bottle green. 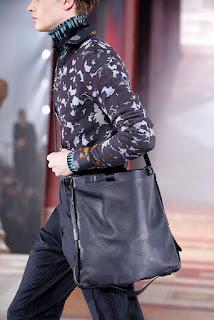 The latest parades of luxury draw heavily on darker tones but contrast with the lights of the stage design, recalling colours of hope. 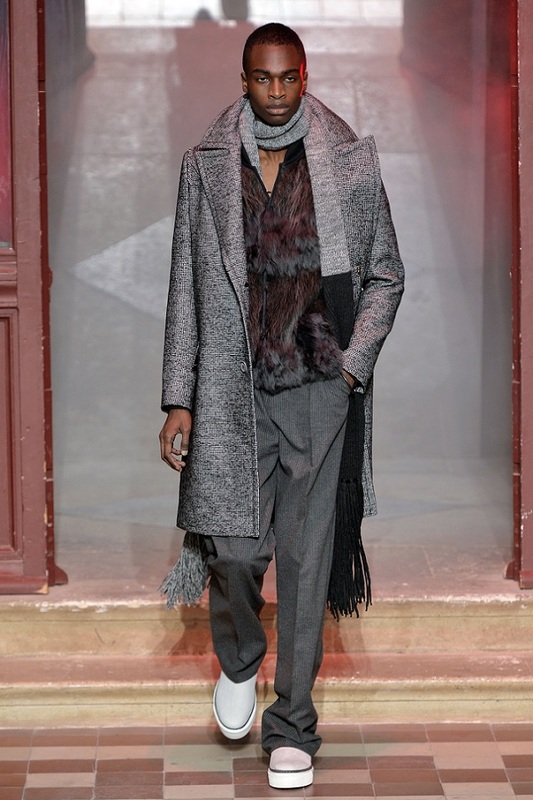 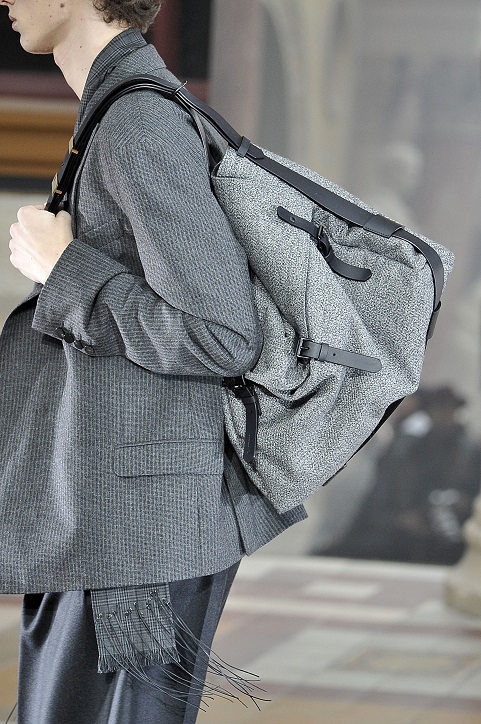 It's grey upon grey at the last show of the Lanvin Men's collection.